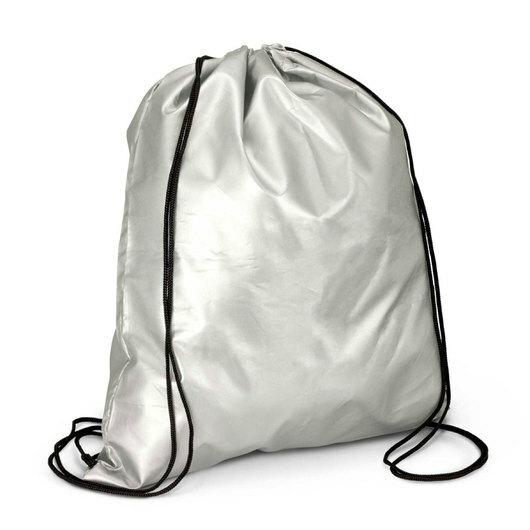 A unique metallic coating look backsack, featuring your logo. 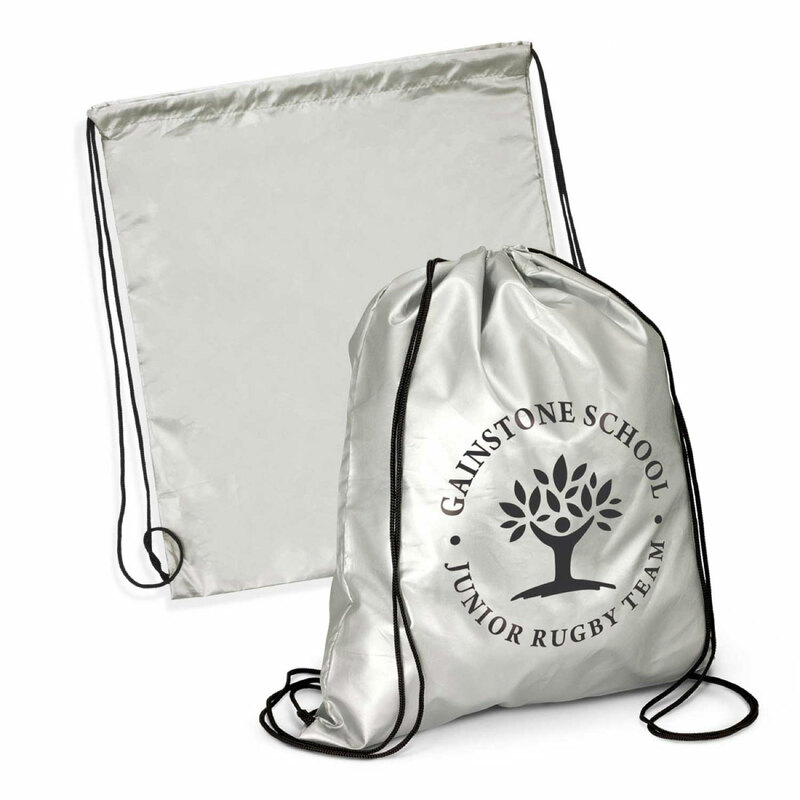 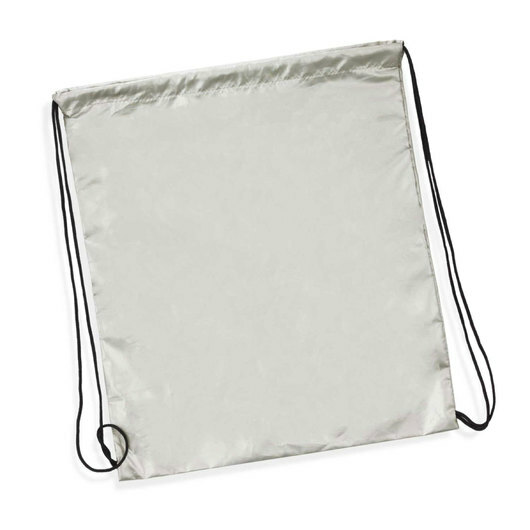 With a unique metallic like coating these drawstring backpacks are a promotional bag that will attract some attention. 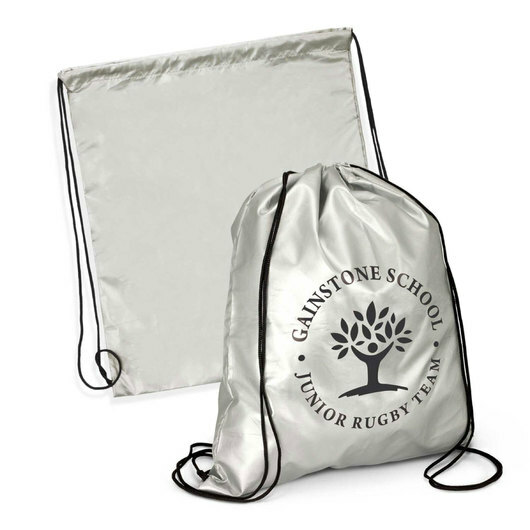 They have strong woven drawstrings and are made from 190T polyester. Give your promotion titanium strength with these handy backsacks today!